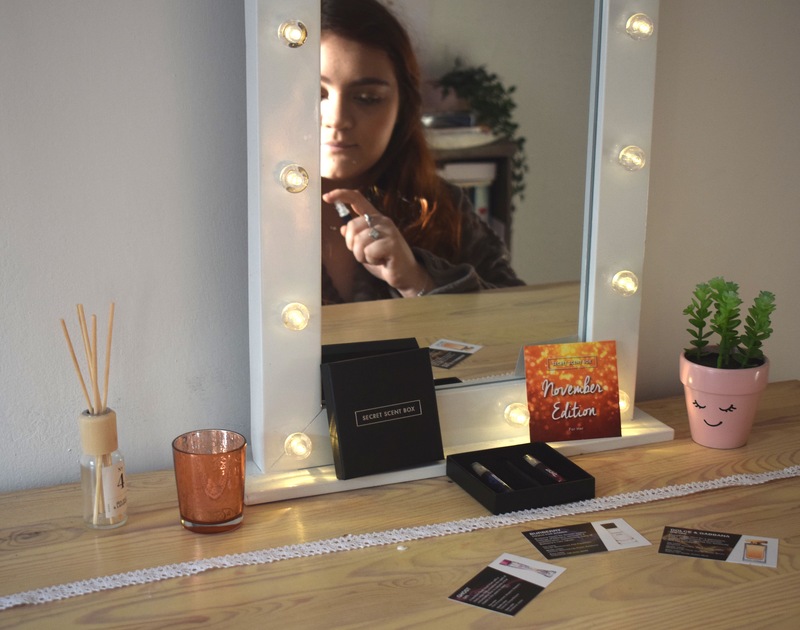 Today I’m going to be telling you all about my new discovery, Secret Scent Box. 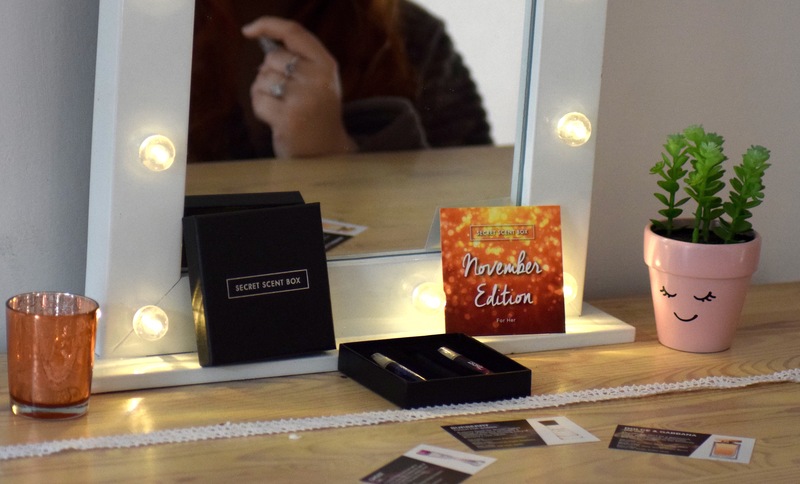 * This is a monthly subscription box that costs just £15 (with free delivery)! And, for the price you get 3 designer fragrances delivered through your door every 30 days (don’t worry about being in, the box fits through the letter box!). 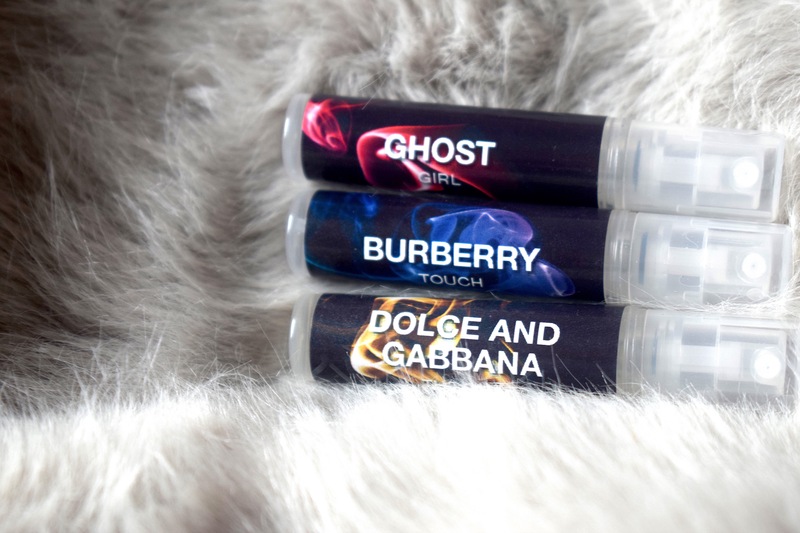 These are all 3ml each, and they come in these handy little sprays so that you can spray away and smell good all day! They’re also perfect for the hand bag, should you require a little midday touch-up. I’ll be honest, when I first received the box, I did expect the actual sprays to be much bigger. However, once I sprayed them, I realised that they’re actually all really concentrated, so you only need one or two sprays and you’re good to go! Their website says that the amounts are enough for 30 days with around 4 sprays a day, so that means your fragrance is sorted for the month! I am usually really picky when it comes to fragrances, but I actually would wear all three of these fragrances. The One by Dolce and Gabbana is my favourite of the three, as it’s top notes include peach and bergamot, two scents which I really like. Touch by Burberry is definitely more of an evening/night fragrance as it has earthy base tones like cedar wood and oak moss, evoking a much more intimate scent that I would only wear for special occasions. In contrast, Girl by Ghost is a lot more of a day time fragrance, I would say, as with the fruity scents of pomegranate, pear and raspberry along with the floral notes, it is a very light but lovely scent. I also really like that a little card is included for each fragrance. These details the top, middle and base notes of each fragrance, as well as a little description. This is a really nice touch! 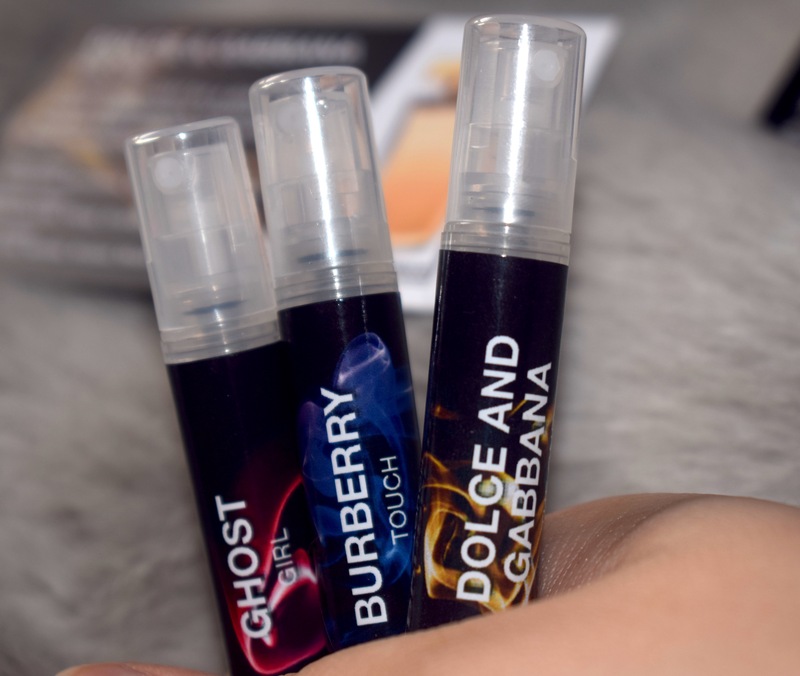 These fragrances are definitely very suitable to the month of November, and I really love that this is a way of constantly changing up your scent, without having to spend a lotttt of money purchasing 3 designer fragrances every month! I also like the element of surprise, because it means that you get to discover new brands and fragrances constantly. All of the fragrances are 100% authentic, and are sourced from authentic suppliers. Who wouldn’t love having a different 3 designer fragrances to try every month?! This could also be a fantastic gift idea for a fragrance lover, as it’s a gift that keeps on giving! What do you think of this subscription box- yay or nay? Let me know in the comments! *Product sent in exchange for review, but all opinions are my own. ** Affiliate code. This means that I receive a small commission for every purchase made. For more information, please see my Disclaimer. 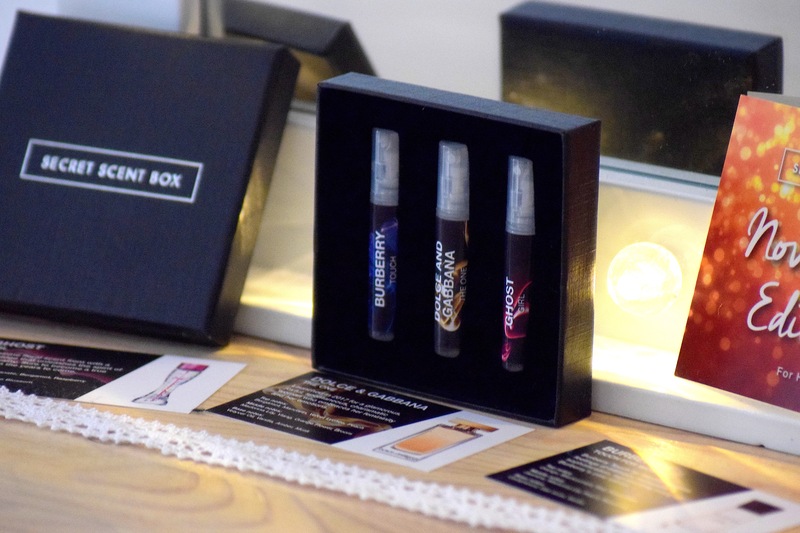 Ooh, I’m impressed that you actually get authentic designer fragrances with this box, that’s great value for money! Bergamot is a scent that I love, so the Dolce and Gabbana would definitely appeal to me! The only bit I’m not so keen on is the packaging of the bottles, I feel that the labels could be a little classier! Yes i agree with you on this!! This sounds like a great subscription box and sounds like it’s great value for money! I personally don’t wear perfume but I know some people who would love this, will share this with them! Previous Post 2017 Gift Guide For Him! Wedding Guest Outfits; The Nightmare Of All Nightmares!